Welcome To A Certified Screen Service, Inc.! "Since 1990, The “A” Team has been a leader in the Aluminum Industry." Call A Certified Screen Today to Schedule A Free Estimate! We are consistently exceeding customer expectations. 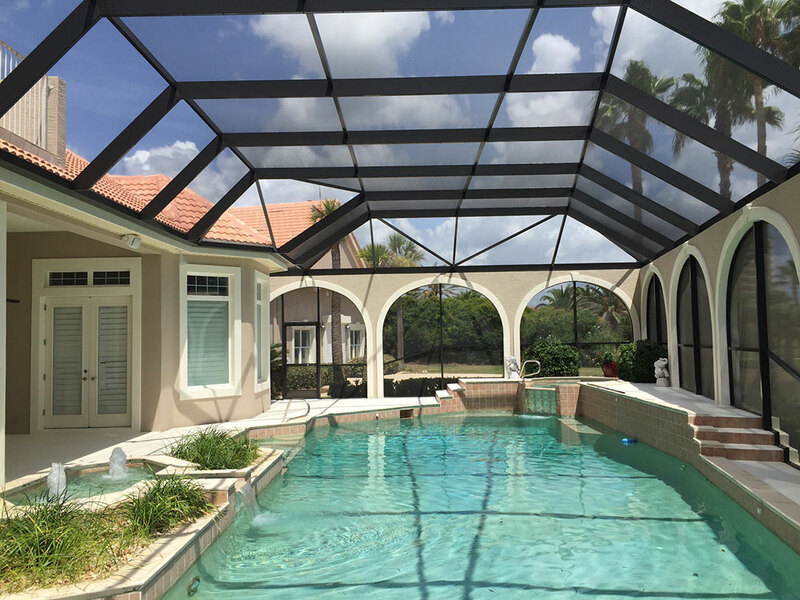 We custom build and install Pool Enclosures, Screen Enclosures and Patio Covers. Excellent company with great customer service! Service man Jason was superb even in rainy weather refusing to stop work until it was completed. Receptionist Tierra was always beyond pleasant and would always respond promptly. Owner Todd arrived to address my concerns and resolved them efficiently. All workers paid attention to all details. I would wholeheartedly recommend them without hesitation. Todd Orie is a consumate pro, and his team of installers were always on time and built for us an amazing sunroom. And that's coming from a person with a background in custom fabrication. I highly recommend. I highly recommend this company. They were the ONLY one to return my call right away after Hurricane Matthew. Showed up when they said and charged a very fair price. They did a great job. I got the ultra screen so now when squirrels climb on the screen no little holes left. Very pleased with the whole process. Would recommend to everyone. fully covered by Workmen’s Compensation Insurance and General Liability”. We also offer expert Screen Repair and Rescreening & Strengthening services. The “A” Team is dedicated to complete customer satisfaction. 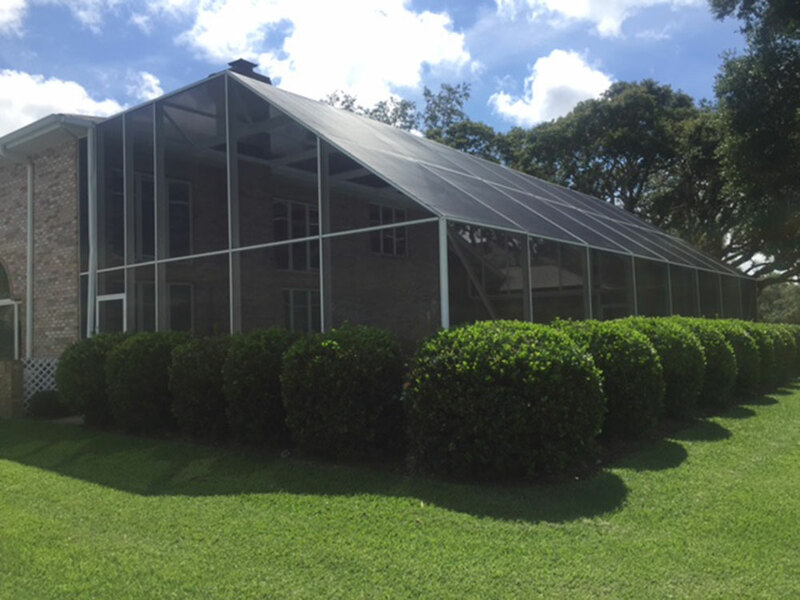 Having a Screen Enclosure provides a safe, pest-free environment for you and your family. Since 1990, A Certified has earned a reputation for building the highest quality screen enclosures in the industry. 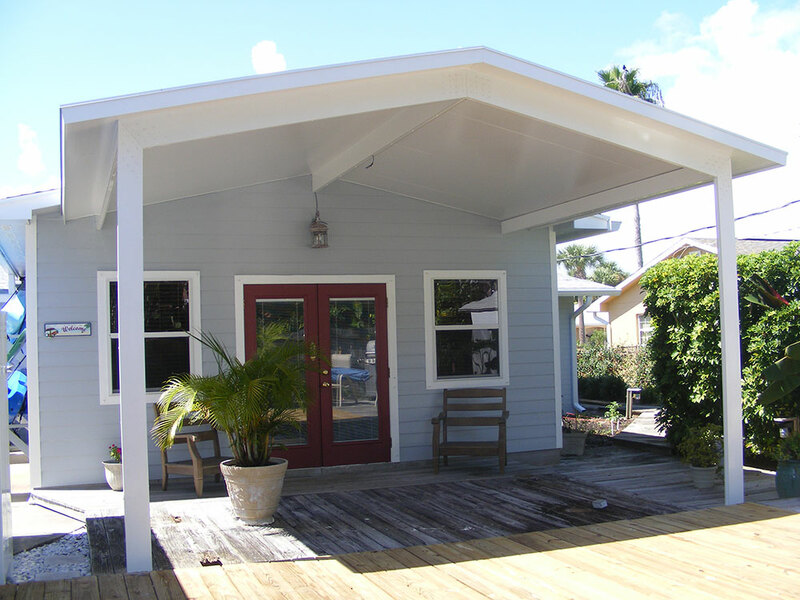 We take pride in every job we do, and our workmanship shows. Every enclosure we install is quality inspected by a member of our staff to insure it meets our high standards. 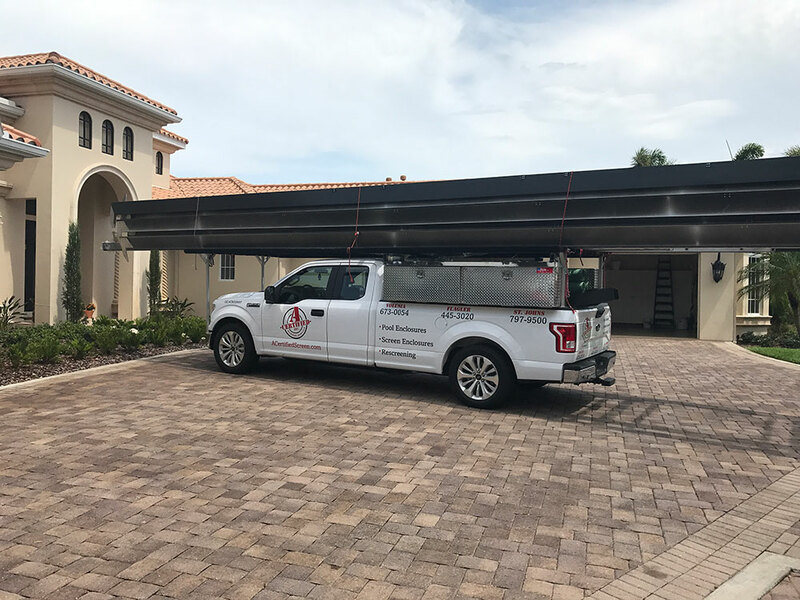 Whether you need shade from the sun, a place to enjoy parties or protection for your vehicle, A Certified Screen offers a complete line of ‘low to no’ maintenance Covers that will take care of your outdoor needs. From full Re-screen/Re-strengthen or just one screen panel replacement, we can handle it all! Free Estimates on Full Re-Screening & Service Repairs. Our sales person will come to your home and measure and discuss your options. 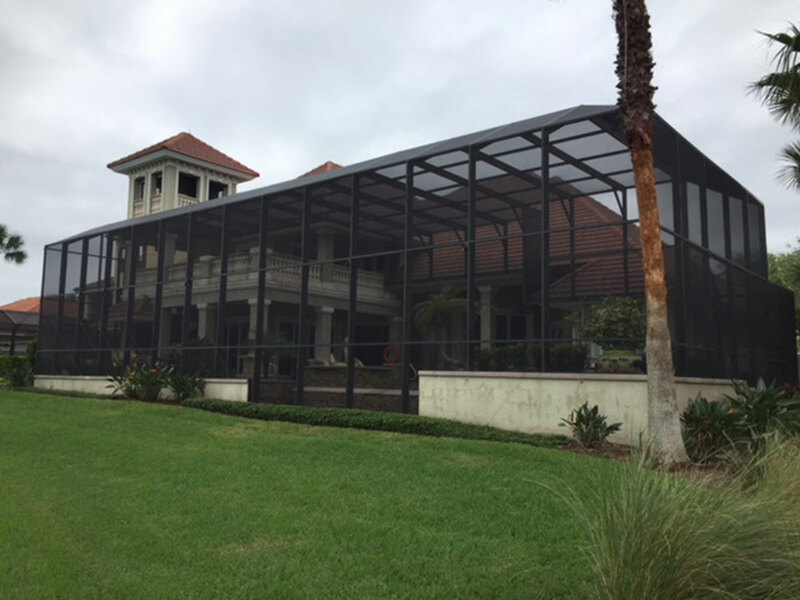 From either full re-strengthen your enclosure to just receiving a much needed screen replacement, we can help you achieve your goals. Enjoy our new & popular, best-viewing option out in the market today – Our Picture Window style enclosure! Built with Ultrascape Beams and Ultra Screen, this panoramic view is the talk of the town! Opening your eyes to a whole bigger scenery in one panel is just mesmerizing. 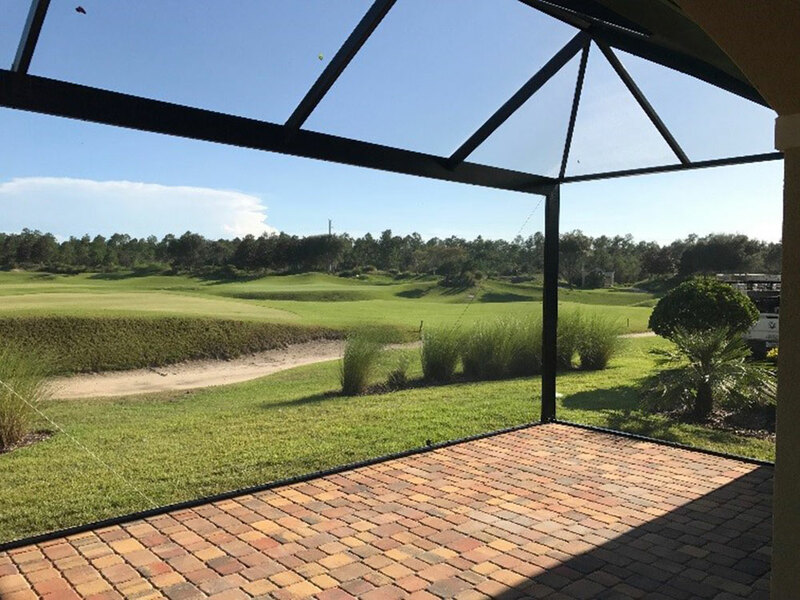 Relax and admire your beautiful lake, golf course, ocean, whichever your view may be, from the view of one panel with the Picture Window on one or all your screen walls! Picture Window is to make your view Picture Perfect! Call A Certified Screen to schedule a free estimate!